Chicago Landlord Attorneys is operated by the Oshana Law firm with the objective to help educate clients on state and local regulations so they can avoid common mistakes that lead to needless fines and litigation. 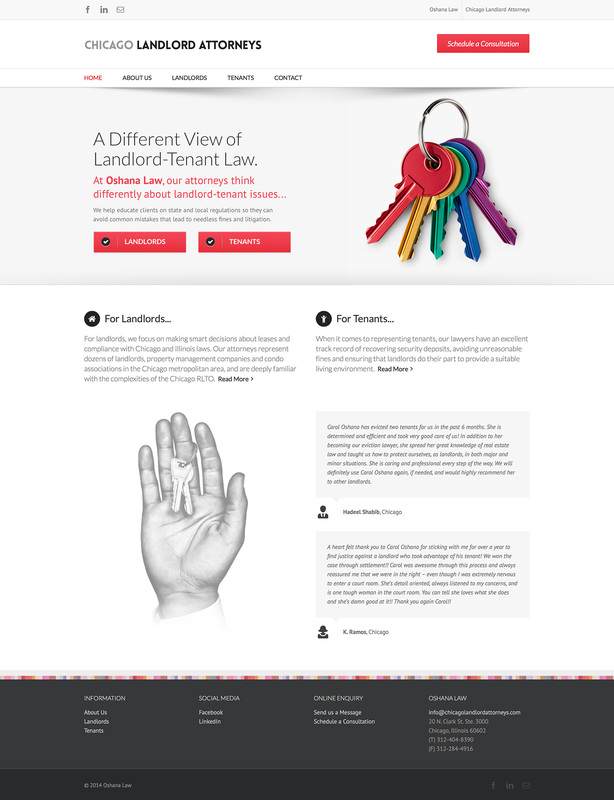 Two by Zero was contracted to design and build a website which showcases this property law speciality and clearly delineates the services offered to Tenants and Landlords alike. It was designed to encourage enquiries from potential new clients. 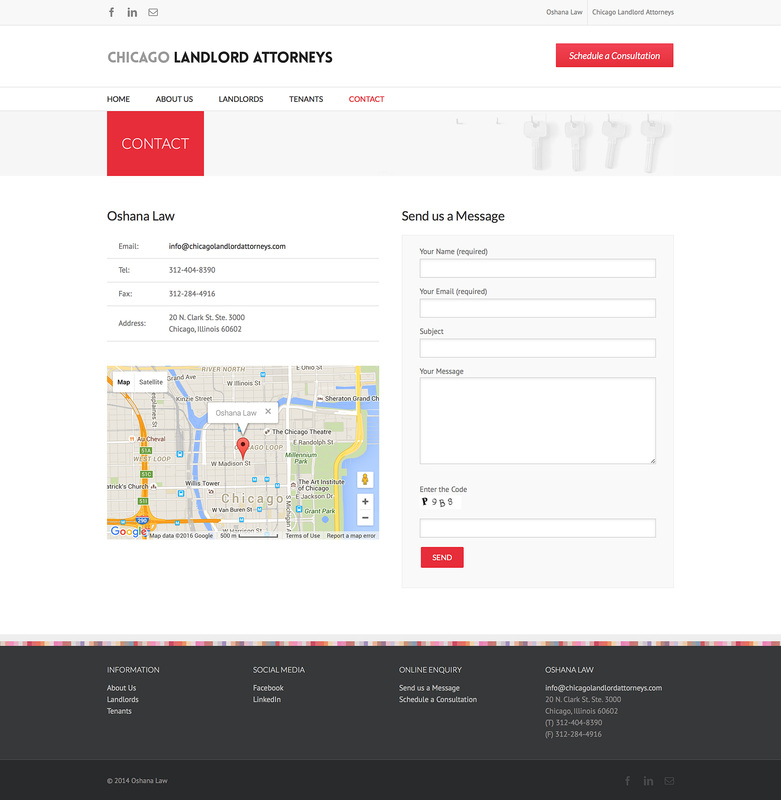 As a result of designing this site, we were then engaged by affiliated Chicago attorneys Blaise & Nitschke, P.C. 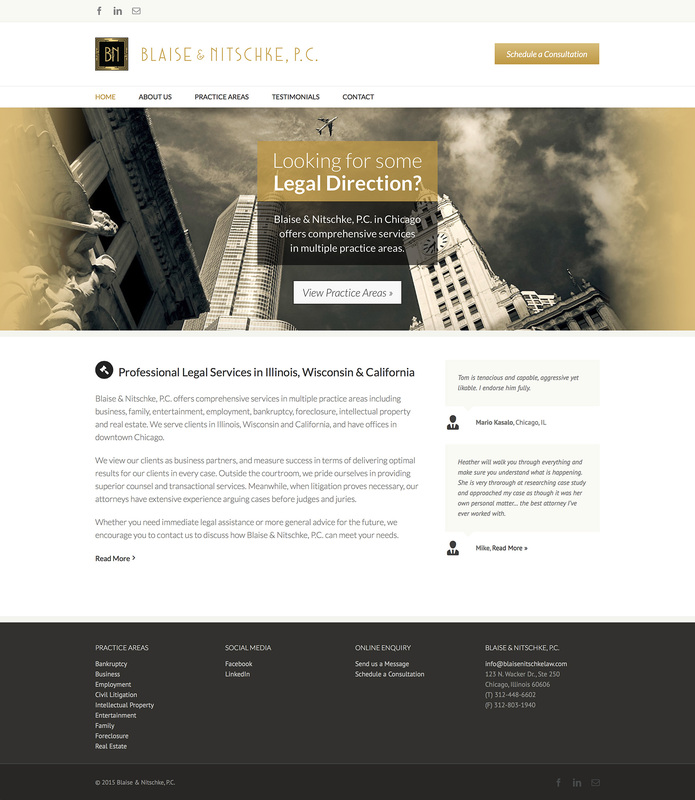 to design a similar site for their law practice.